Andrea, you must have read my mind from across the ocean. 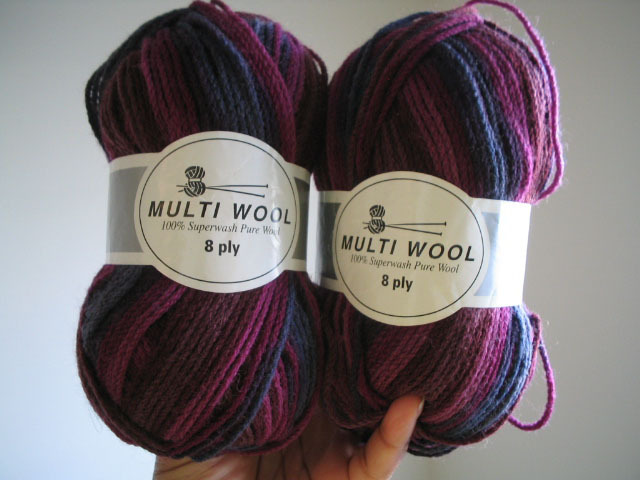 I love using yarn that has a braided texture because it adds interest to the fabric...especially in cable knits. 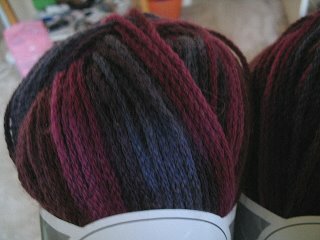 The colors are beautiful and this is just the type of yarn that I would have chosen for myself. You done good, girl. THANK YOU. I have a dilemma, folks. I MUST find the perfect pattern to use with this yarn. It has to be something that will really exploit those stripes. I have some ideas, but I'm not going to post them because I want to see what you guys come up with. If you know of any patterns, please feel free to give me the web address or book/magazine title. Yummy yarn and I wish I knew enough patterns and enough about yarn to try to give you a suggestion on a pattern. I knit, rip, knit, rip. It's 10:33...do you know where your yarn is? ?